The Pajaro/Sunny Mesa Community Services District (PSMCSD) water system was formed and has been in operation since 1986. The District was created by the Monterey County Local Agency Formation Commission (LAFCO) with the consolidation of Pajaro Community Services District, the Sunny Mesa Water District, and Monterey County Service Area No. 73. The District is a public agency governed by a five (5) member Board of Directors that serves without compensation. The District provides potable water services, fire flows, parks, streetlights, and sanitary sewer services to thousands of residents of North Monterey County. The District provides these sevices from the Pajaro River in the north, to Moss Landing in the west, to the Highway 101 corridor in the south. Part of PSMCSD's senior groundwater rights were granted by the U.S. District Court in San Jose, CA. 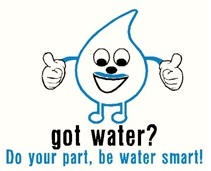 It is the only public agency which provides public potable water services in the Pajaro, Elkhorn, and Prunedale areas. The PSMCSD water systems are regulated by the State Water Resources Control Board and Monterey County Environmental Health Department. The Board of Directors of the Pajaro/Sunny Mesa Community Services District is accepting applications for appointment to the District's Board to fill a vacancy on the Board. The applicant must be a resident and a registered voter of the Pajaro/Sunny Mesa Community Services District. A copy of the application may be obtained from the District office or from the District website. Applications may be mailed or delivered to the District office at 136 San Juan Road in Royal Oaks, to the attention of Don Rosa, General Manager of the District. for rainwater catchment and graywater installation. In an effort to continue to keep the park safe and accessible for all, we need your support, please visit the Parks tab for more information and to view a short video regarding the park. We thank you for your conservation efforts!